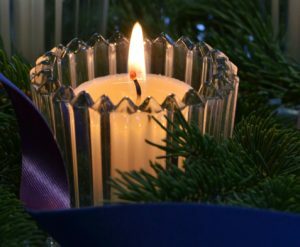 When: Sunday, Dec. 16 and/or Friday, Dec. 21, 5:45 p.m.
What: Join the School Sisters of Notre Dame in Mankato for their annual candlelight chanted Christmas Novena. You are welcome to come early to join us for supper or for an afternoon of prayer. An overnight visit is also an option. Where: Our Lady of Good Counsel: 170 Good Counsel Drive, Mankato, Minnesota. Register by Dec. 14 with Sister Stephanie Spandl, SSND, at sspandl@ssnd.org or 651-278-4498.